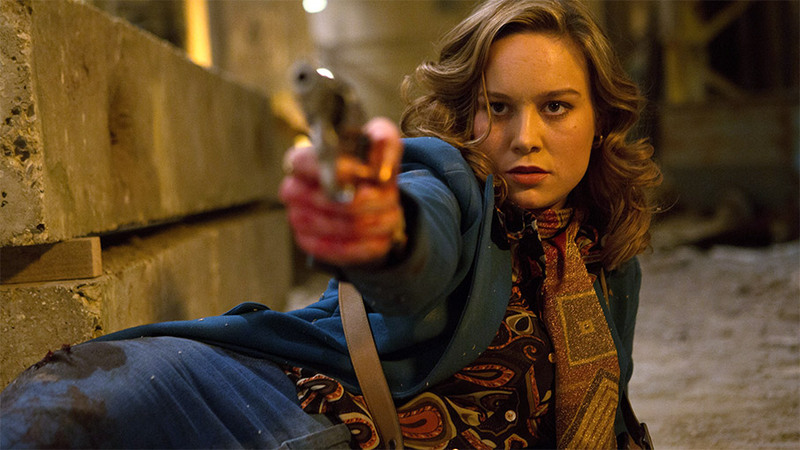 Ben Wheatley's FREE FIRE calls curtains on the London Film Festival. Jerry Whyte weighs its limited appeal against Thomas Kruithhof's astonishingly assured debut SCRIBE/LA MÉCANIQUE DE L'OMBRE, which tips its cap to Le Carré but cuts its own stylish path through the shadowy world of the surveillance state. 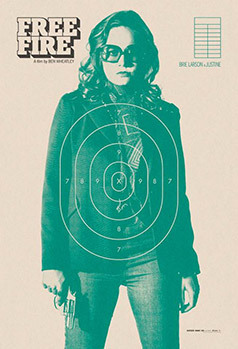 Ben Wheatley impatiently awaited sixth feature, Free Fire, ensured that the sixtieth edition of the London Film Festival ended in a hail of bullets and complete carnage. Wheatley's witty but hollow bang-bang thriller never leaves an abandoned warehouse in Boston, Massachusetts and, sadly, seldom rises above the mainstream mundane. It is 1978 and IRA section leader Chris (Cillian Murphy) is collecting a consignment of rifles for the cause. His associates Frank (Michael Smiley), Stevo (Sam Riley), and Bernie (Enzo Cilenti) are, inevitably, as inept and dim-witted as the South African gunrunner (Vernon/Sarlto Copley) and former Black Panther (Martin/Babou Cessay) delivering the goods. Deal-brokers Ord (Armie Harmmer) and Justine (Brie Larson) are marginally more competent and convincingly rounded but no less intent on laying their greedy mitts on the contested briefcase of money. It is bound to end in bloodshed and, as sure as night follows day, this confederacy of dunces and their seedy sidekicks slaughter one another with relish when the deal falls through. And that, pretty much, is that. Free Fire has its demotic tongue firmly planted in its blood-splattered cheek and is, up to a point, good lean unwholesome fun. Expertly executed and immaculately acted, it unfortunately lacks either the crackle of tension or spark of suspense to captivate and falls to the floor with a dull thud. After the regulation-issue 90-minutes worth of fizzing bullets, severed tendons, and dripping wounds many will have left the cinema wondering if 100 million dollars was well spent on what amounts to little more than a shooting match in fancy dress. Wheatley fixes his sights too firmly on the American market, misfires, and misses his targets. Obviously, all too obviously, we're in Tarantino territory, eavesdropping echoes of Reservoir Dogs (1992) and Pulp Fiction (1994). Wheatley dishes up post-modern pop-slapstick violence with the black humour and the retro frills but without Tarantino's flair, originality and cinephile craft. Martin Scorsese helped produce the film, which begs even more unflattering comparisons with Taxi Driver (1976). While Scorsese detailed Travis Bickle's backstory and sketched in a political backdrop, Wheatley builds no credible characters and merely trades on political realities he elides. The public's appetite for comic book violence has not abated since Peckinpah's The Wild Bunch (1969) and De Palma's Scarface (1983) but audiences have become blasé in the interim, so it is fatal for the film's fortunes that the singular oddity and edge of Sightseers (2012) and High Rise (2015) here gives way to the formulaic and overfamiliar. Despite this disappointing stutter, Ben Wheatley will be back. The abundantly talented Essex-born director is capable of more, so much more. Thomas Kruithof's taut, elegant and intelligent conspiracy thriller Scribe treats violence with the contempt it deserves. 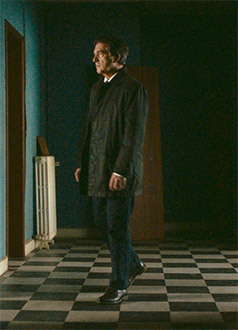 It revolves around inscrutable loner Duval (François Cluzet), a conscientious accountant who careers into alcoholism due to the damaging demands of the workplace. After two years of redundancy, he is in a rut and in A.A. when he receives an unusual job offer, out of the blue, from Clement (Denis Podalydès), the shadowy C.E.O. of a front ‘security firm'. Hired for his punctuality and precision, he is sworn to secrecy and required to transcribe recordings of tapped telephone conversations in a shabby anonymous flat. These conversations take on an increasingly sinister turn but Duval dutifully types on until he overhears a brutal murder. Shocked to his decent core, he tells his psychotic minder Gerfaut (Simon Abkarian) that he wants out but is only dragged deeper into the subterranean world of state espionage. Forced to join Gerfaut on an office break-in, he witnesses him killing a cleaner and subsequently falls into the clutches of Labarthe (Sami Bouajila), a senior spook at odds with Clement's right-wing paramilitary organisation. The gritty atmospherics of Jean-Pierre Melville's films, British espionage thrillers, and John Le Carré's novels filter into Scribe, while Francis Ford Coppola's conspiracy classic The Conversation (1974), with its Watergate-era mood of distrust and paranoia, was an avowed touchstone. Although the fractious anti-democratic politics of the secret state are hinted out throughout, Kruithof tells us he was far more interested in Duval's psychological implosion and recovery. Like Harry Caul, Duval is an intensely private man who discovers himself through diversity and a crisis of conscience. 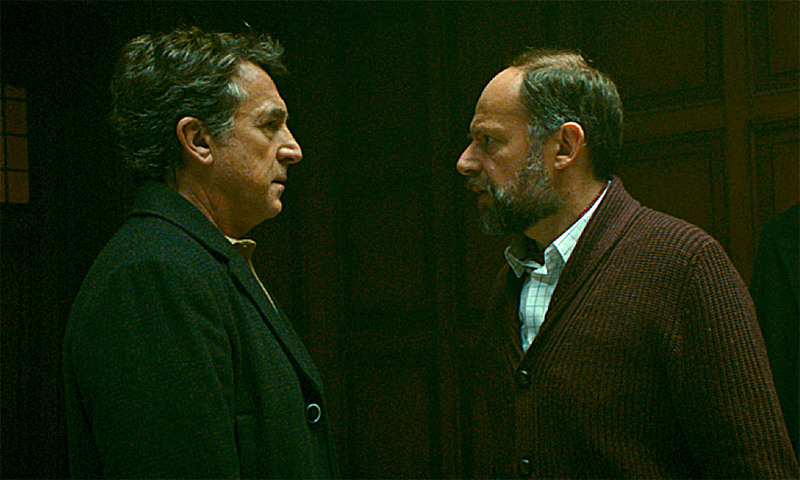 Just as Gene Hackman did as Caul, François Cluzet pulls off a master class in studied anonymity and vulnerability. Initially timid and compliant, Duval taps into deep reservoirs of inner strength to stand up to the security services and, in the film's explosive climactic confrontations, he takes them on at their own game. Sara (Alba Rohrwacher), a young woman Duval befriends at his A.A. group, senses Duval's struggle for freedom and they develop a touching friendship of mutual respect and support. She anchors Duval and brings much-needed human warmth into his fearful, lonely life as he contends with the Machiavellian state and its Manichean contempt for the citizenry. The film's slate-grey palette reflects the murky world into which Duval is drawn, the alienating granite monoliths of La Défence that provide the backdrop for much of the film, and the encroaching darkness of officially sanctioned dirty tricks. Just as the rigidity of that world is contrasted with the gliding elegance of the camerawork, so Sara's colourful haircut and wardrobe alleviated that greyness. Scribe offers no comforting reassurance, though, no easy answers in love. Kruithof is steely-eyed in facing unsettling realities and his film's menacing air of trepidation leaves a lasting impression. He based his sparse, persuasive script on the Lebanon hostage crisis of the 1980s, which revealed the covert turf wars between the French Ministry of Foreign Affairs and Ministry of the Interior and which was played out against the presidential rivalry between Jacques Chirac and François Mitterand. His argument for increased accountability and transparency took shape as Philip Snowden was forcibly reminding us that the Age of Big Data (what Adam Curtis calls the ‘Post-Truth' world of ‘hypernormalisation') is upon us. Scribe reminds us those who watch us need watching and that the perils of surveillance arise from an authoritarian mindset deep rooted in the corridors of entrenched power. With this chilling, compelling thriller Thomas Kruithof announces himself as a force to be reckoned with from whom great things can be expected in years to come.